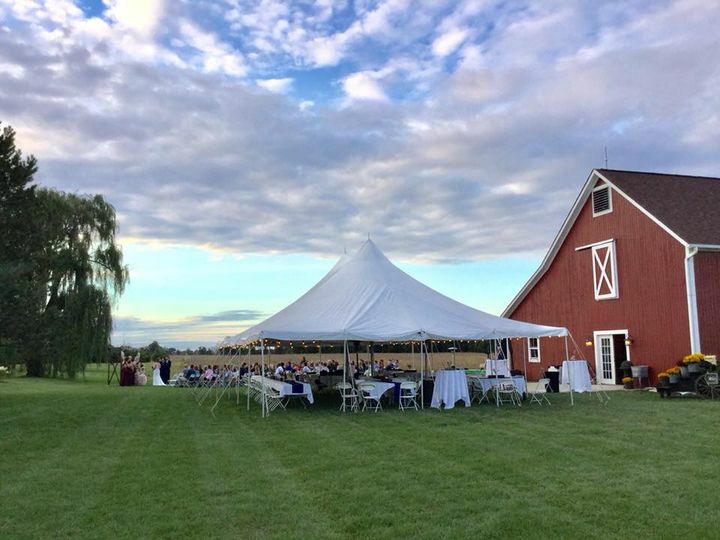 Located on 100 acres of land, French Hen Farm is an elegant, rustic wedding venue in Marysville, Ohio. 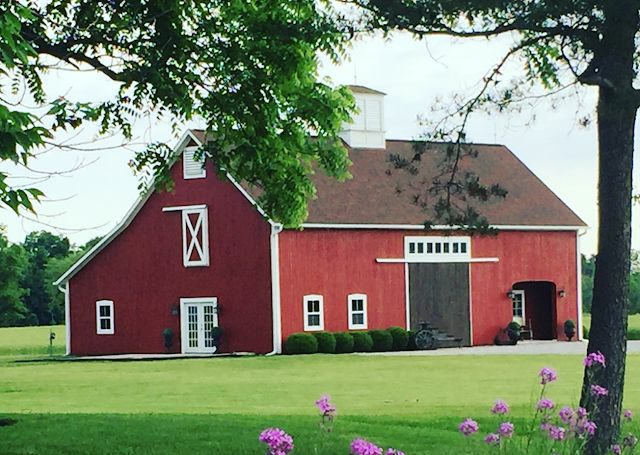 This beautiful red barn features vintage-inspired decor and overlooks a gorgeous pond. 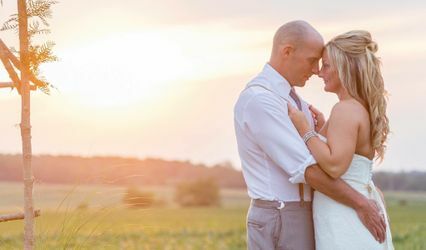 In 2009, French Hen Farm began hosting fabulous weddings for friends, families, and neighbors and eventually opened their doors to the community. 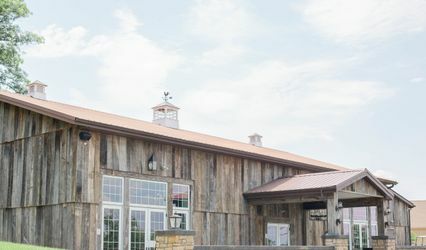 The property is situated in the middle of Union County and is a short distance from Columbus, Ohio. The rental fee includes the entire weekend - Friday, Saturday & Sunday! 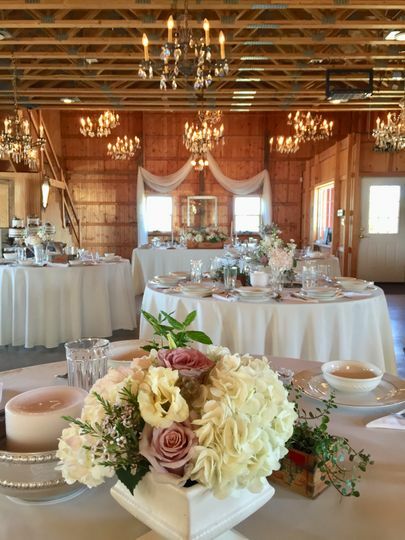 Enjoy a stress free weekend allowing you time to decorate, host your rehearsal dinner, ceremony, and reception at French Hen Farm. 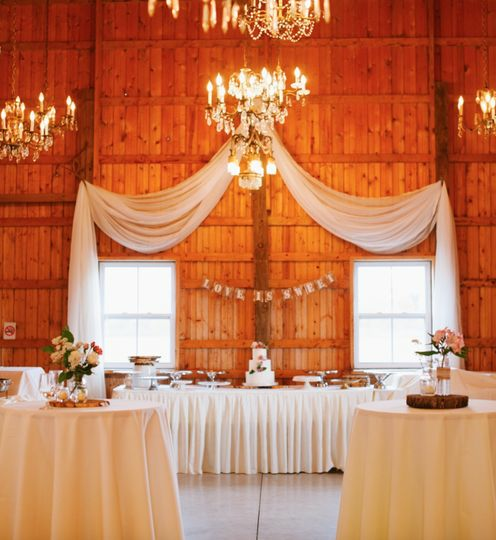 The barn is a wonderful place for a wedding & reception, beautiful both indoors and outdoors, featuring 45+ authentic vintage chandeliers and vaulted ceilings. 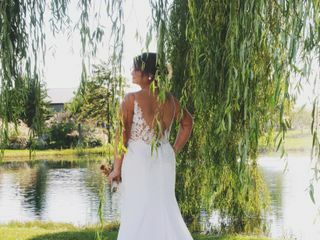 Guests will enjoy picturesque views of the perennial gardens, pond and willow trees that surround the barn. Spectacular sunsets over the pond and an evening bonfire complete the night. 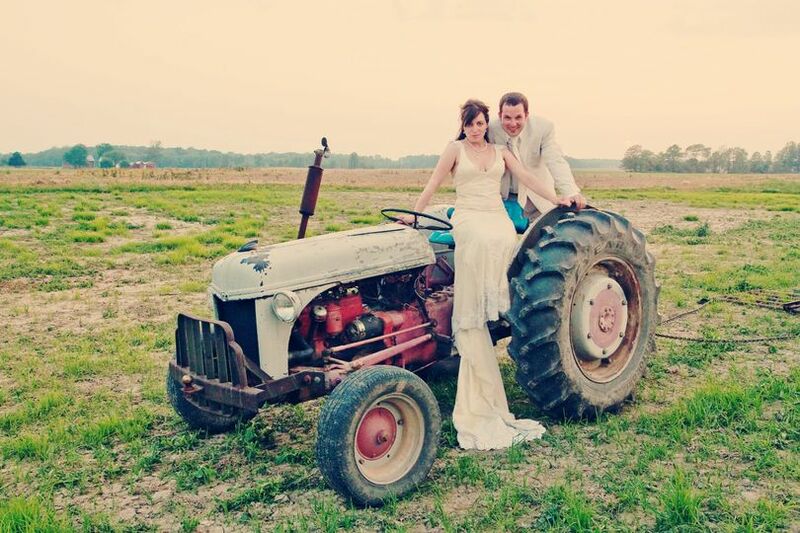 French Hen Farm also offers the use of a bridal suite for couples or bridal parties to prepare for the wedding day. 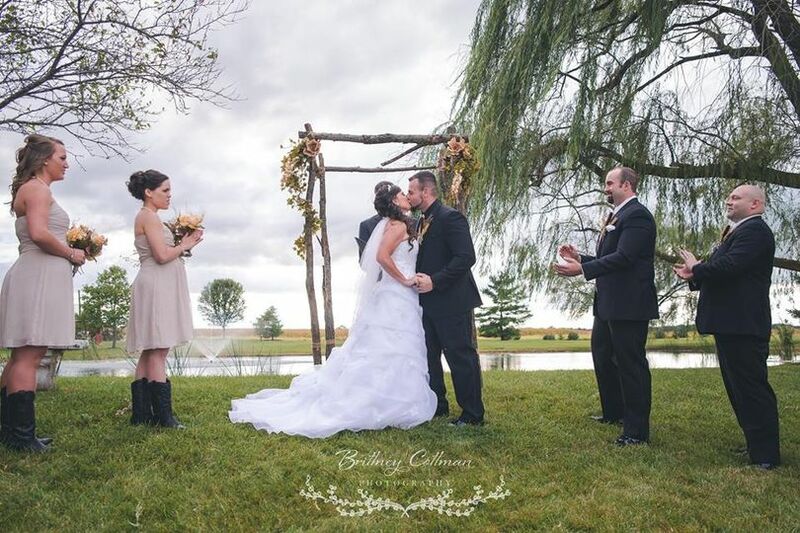 French Hen Farm provides an array of services for wedding and other celebrations. 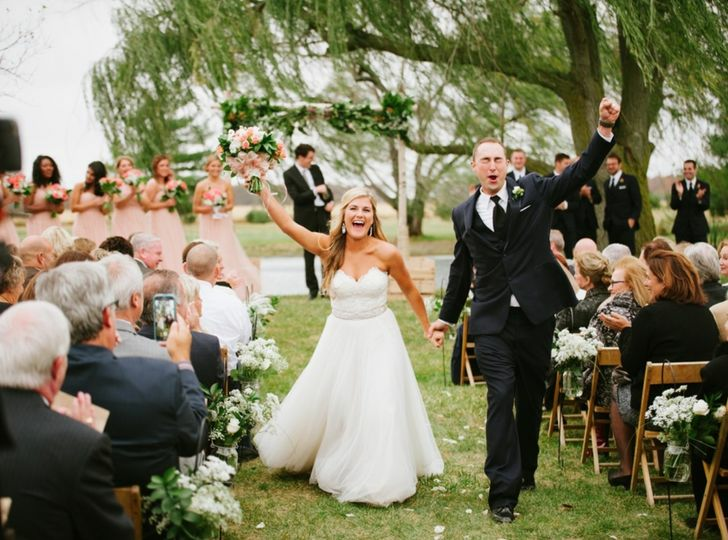 The facility has ample parking for guests, tables and chairs, and rental decor. 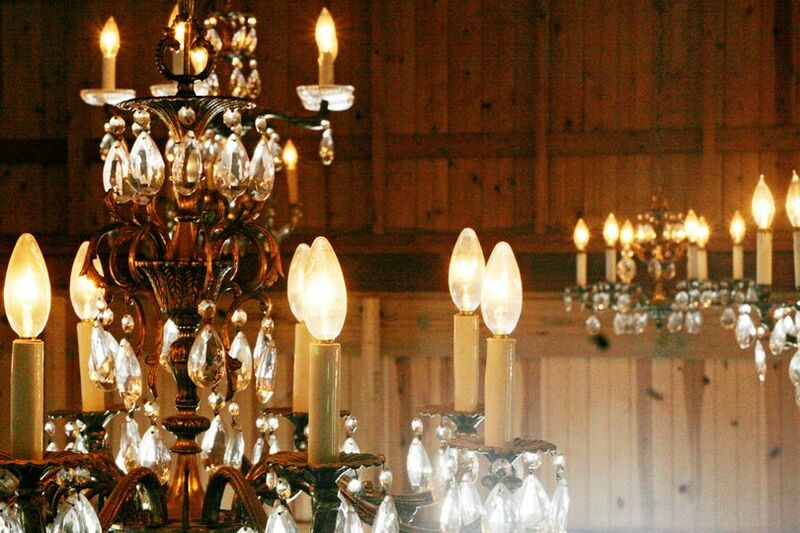 Rental decor items include arbors, mantels, centerpieces, furniture, signs, etc. 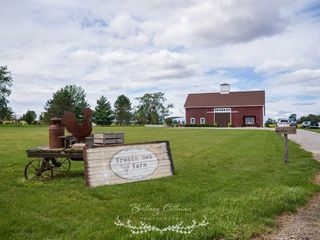 French Hen Farm allows for outside vendors to be used for any event. Taylor thank you so much for taking the time to write this review and for the kind words. 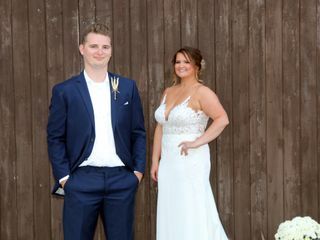 We are so appreciative that you chose us for your special day and that we were able to be a small part in making that day so special for you! Wishing you much love, luck and happiness! 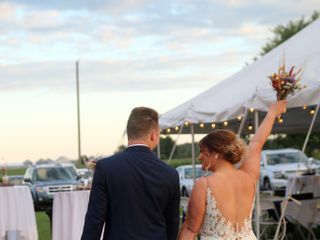 Would highly recommend having a wedding here! 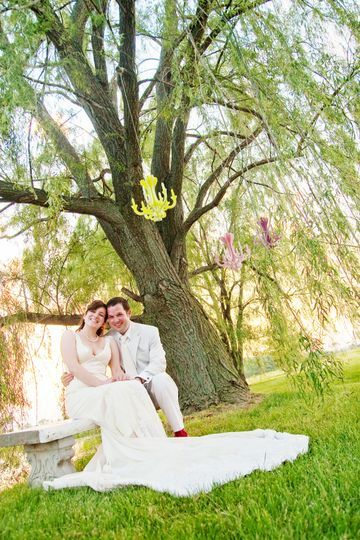 The barn and grounds are gorgeous, and Phil is fantastic to work with. 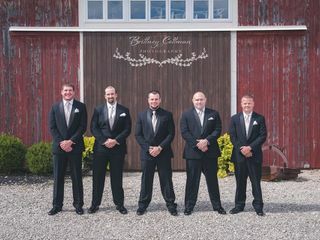 Very accommodating, and checked in with us multiple times while setting up and even made a few appearances on the day of the wedding to help dry off chairs and such. Overall a great experience at French Hen Farm! Thank you Kyra! 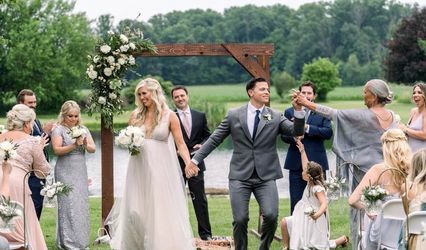 It was a pleasure being a part of your special day! Wishing you a wonderful New Year! I can’t say enough about French Hen! My family has known them for years. They listened and helped in any way shape and form along the way. The cost for all three days was great. 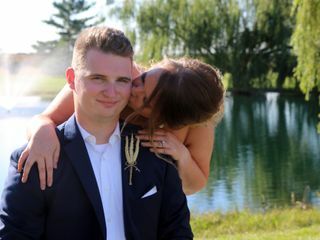 I wasn’t stressed to have so much done in such a quick time frame with having all weekend to decorate, party, and clean up. Kylie, thank you so much for taking the time to write a review and for your kind words. 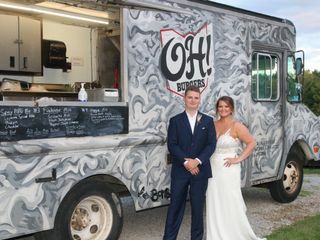 We were so happy that we could be a part of your special day! Hope you and your family are all doing well! Wishing you a wonderful New Year with much love, luck and happiness!